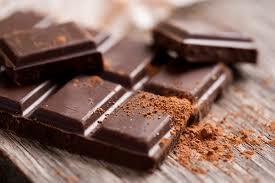 What we always knew – Chocolate IS good for you! An interesting study recently published in the Journal of Nutrition has found that consumption of foods with high levels of flavones and anthrocyanins are protective against type 2 diabetes and can reduce insulin resistance. They are also associated with lowered inflammation. The really good news – flavonoids, including anthrocyanins are found in dark chocolate as well as foods such as berries, red grapes, wine, many vegetables and tea.